I’ve recently returned from Venice, Italy where I heard an ongoing discussion from locals about whether large cruise ships should be allowed to dock as close to the city as they currently are. Now we learn that the number of large cruise ships passing through Venice will be limited by the Italian government. The winding canals of Venice draw visitors to this unique city. “Some people think large ships are unsightly and detract from the beauty of Venice,” said Francesca, our guide on an excursion to the islands of Murano and Burano. 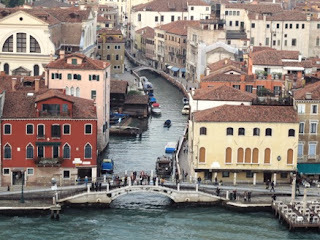 “But cruise ships bring new dollars to Venice. It’s the only business that does so today. Everyone’s job is related in some way to the cruise industry,” Francesca added. That’s an important point. Tourism drives the economy of Venice. There are seven terminals for cruise ships, which is the reason the Venice airport is the third largest in Europe. For these reasons a powerful lobby in Venice supports the cruise ship trade and welcomes the economic benefits it brings. But in recent years, environmentalists have protested against large ships saying they damage the city's fragile lagoon. For them the new restrictions--the number of cruise ships allowed through Venice will be cut by 20% beginning in January-- constitute a first step for an ongoing campaign. Ships of more than 96,000 tons will be banned from the center of the city beginning November 2014. 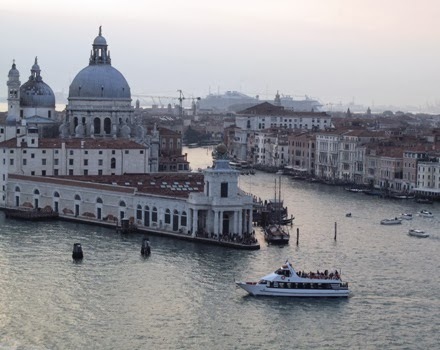 The BBC also reported that Prime Minister Enrico Letta's office announced plans to open up a new canal route to the city to allow big vessels to enter the city by an alternative route. The Cruise Lines InternationalAssociation (CLIA) said: "While we believe that the passage of cruises through the Giudecca Canal [which flows into Venice's San Marco basin] is safe, we agree that any sustainable solution requires an alternative passage for our ships. "We absolutely respect the Italian government’s decision and CLIA remains committed to working and collaborating with the Italian authorities in the development of the alternative final passage." 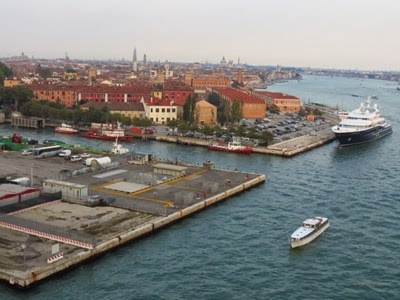 Hopefully, these actions will eventually result in a win-win situation for the cruise industry as well as for the city of Venice and its citizens who depend on cruise ships coming there for their livelihood. A limit on the number of cruise ships in Venice comes as no surprise. Most people who have visited Venice in the summertime, peak tourist season, have smelled the sewage. Cruise liners need to utilize the most environmentally friendly means of sewage disposal even if it costs more both in port and on the open seas. Agreed. However, that's another issue all cruise ships face.